If you're not aware, September is National Ovarian Cancer Awareness Month. 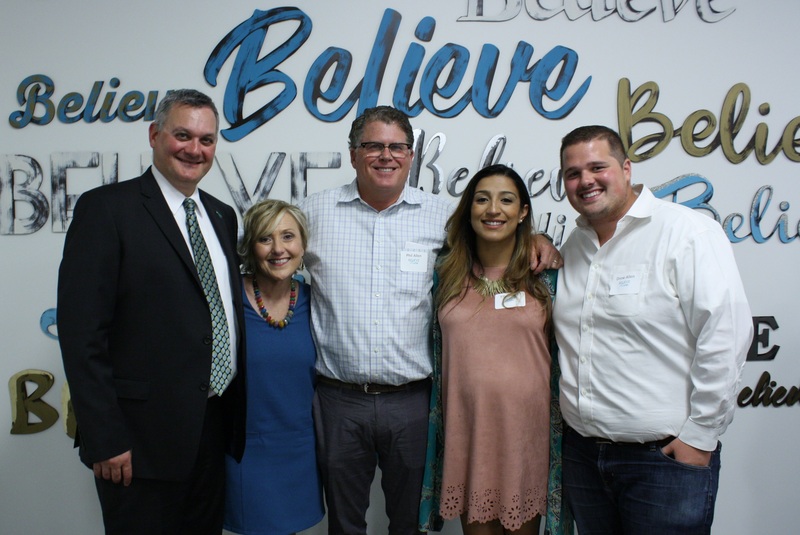 Last week, the Grace team hosted an event to honor Dr. David Bender and his research team from the University of Iowa Hospitals and Clinics. Six years ago, Phil's wife, Jane, was diagnosed and treated for Stage III ovarian cancer by Dr. Bender. Today, by the grace of God, the love and support of family and friends, and the skilled men and women from the UI Hospitals and Clinics; Jane Allen is 100% cancer free! According to research, ovarian cancer ranks fifth in cancer deaths among women, accounting for more deaths than any other cancer of the female reproductive system. A woman's risk of getting ovarian cancer during her lifetime is one in seventy-two and with a late-stage fatality rate of 90% there's one woman dying from ovarian cancer every ten hours. The American Cancer Society estimates that about 22,440 women will receive a new diagnosis of ovarian cancer just this year in the United States alone. Although the rate at which women are diagnosed with ovarian cancer has been slowly falling over the past 20 years, there is still a staggering 46% overall survival rate, which vastly depends on the stage of diagnosis. With ovarian cancer, early detection is key and is made even more possible with awareness (take the 60-second BEAT Test to recognize the signs and beat ovarian cancer!). Those who have been directly impacted by something as truly sinister as cancer can help protect their fellow brothers and sisters by spreading the word and raising awareness. Jane came out of this fight a champion with a purpose and she has been spreading the WORD ever since. Because of the trust and leadership he had established at Grace six years ago, Phil was able to step away for long periods of time to tend to his wife "in sickness and in health". He and their children, Drew and Bekah, were with her every step of the way, through surgery, chemotherapy, and the long road to recovery. Family and friends were all in with their faith in God and remained Jane's pillars of strength, love, and support. "Cancer is the cruel taskmaster that has robbed from each of us in many ways. 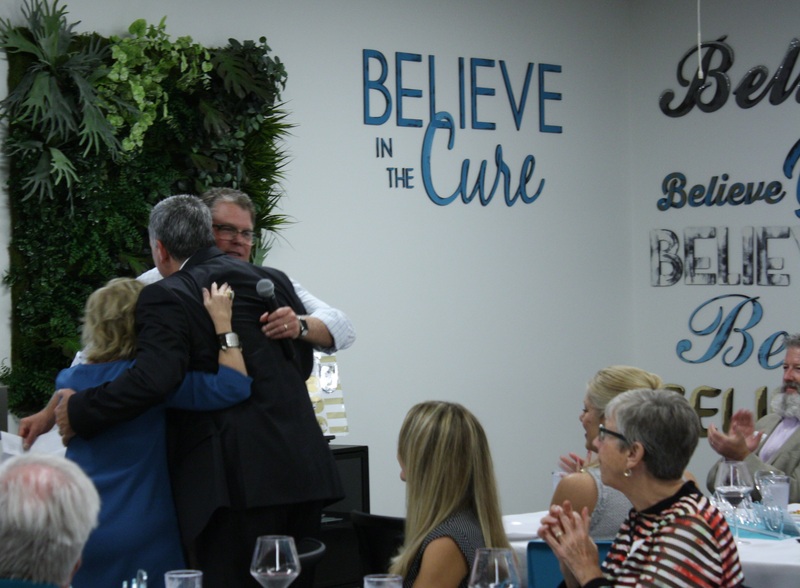 With those like Dr. Bender and his team doing the hard work of research, we can all 'believe in the cure'. "Our family thanks Dr. Bender for his kindness, friendship, pleasant demeanor and his caring spirit. During Jane’s journey, he kept saying over and over, 'I believe in the cure'. May the Lord’s face shine upon his team so they may see what they need to see in their research!" Dr. David Bender is an associate professor with the division of gynecologic oncology with the UI Hospitals and Clinics. He has been practicing in gynecologic oncology since 2004. In 2016 Dr. Bender was voted Clinician of the Year by his peers at UIHC. This week, we're asking YOU for giveaways! If you would like to donate to the University of Iowa Hospitals and Clinics, click the ribbon below. All proceeds will go towards gynecological oncology research for ovarian cancer in honor of Phil & Jane. 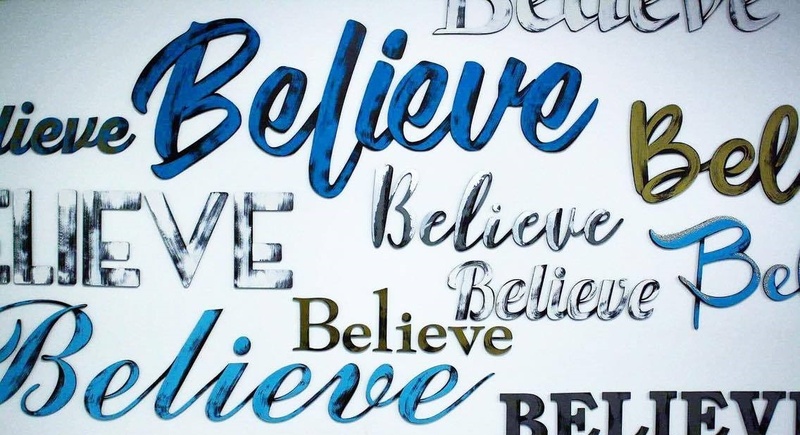 You can also hit the regular giveaway button below for a chance to receive one of three available hand-painted Believe Letter2Word artistic decors. If you purchase a Believe from the L2W site, all those proceeds will go to the UI Hospitals and Clinics as well. Thank you!